We’ve all felt it. We’ve all struggled with it. We’ve all been overcome by it. Discouragement! People or circumstances in our lives that have eroded our courage and resolve much as the endless waves of the sea wash away the precious shoreline. At times, we are robbed of our confidence a small piece at a time, hardly aware that we are losing ground. Other times, we are so devastated that in one monumental, horrible event our entire beach of personal determination and fortitude is washed into the ocean of fear and dismay. I have often been comforted by reading of Jesus’ discouragement when He was here among men. God encouraged Jesus when He was baptized by sending a dove from heaven and assuring Him by His own words that He was loved and pleased His Father (Matthew 3:16-17). After enduring forty days of tortuous fasting and temptation, God recognized Jesus’ need for encouragement and sent angels to attend Him (Matthew 4:11). God even sent Moses and Elijah to have an inspiring talk with Jesus in the midst of His ministry among men who didn’t understand (Matthew 17:3). On the last night of Jesus’ life, when the disciples offered only discouragement in the Garden of Gethsemane, God sent an angel to strengthen His precious son for the horror of the crucifixion the next day (Luke 22:43). The Bible is filled with reassurance and hope for daily discouragement. Here are a few examples. Do you ever worry? Jesus confronted worry with the promise that if God cares for a little sparrow, He most assuredly will take care of you, the most precious of His creations (Matthew 6:25-34). Do you ever feel that doing good doesn’t pay? In Matthew 5:11-12, Jesus supported those who are persecuted for doing what is good and right by confirming for them a great reward in heaven. Do you ever feel hindered by fear? According to Matthew 10:30-31, God has every hair on your head numbered. Do you ever feel utterly exhausted? In Matthew 11:28-30, Jesus invites the weary to come to Him for rest. Do you ever feel all alone? Jesus guarantees us, “I am with you always!” in Matthew 28:20. Whenever you feel overcome with depression of feel demoralized by people or events that repress your courage and sap your joy, look to the Great Encourager – Jesus! 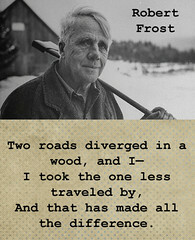 He made encouraging other’s His life’s work. He still does! Father – Give me encouragement along mu journey. Show me others who need my encouragement. Fiorello LaGuardia was mayor of New York City during the Depression, and he was quite a character. He would ride the city fire trucks, take entire orphanages to baseball games and whenever the city newspapers went on strike, he would get on the radio and read the Sunday “funnies” to the children. On a bitter cold winter’s night in 1935, Mayor LaGuardia turned up in a night court that served the poorest ward in the city, he dismissed the judge for the evening and took over the bench himself. After he heard a few cases, a tattered old woman was brought before him, accused of stealing a loaf of bread. 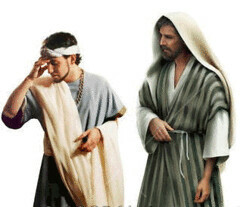 That’s how it should be with Jesus followers. Jesus said: “The Spirit of the Lord is upon me, because he has anointed me to bring good news to the poor. He has sent me to proclaim release to the captives and recovery of sight to the blind, to let the oppressed go free, to proclaim the year of the Lord’s favor.” After he uttered these words they ran him out of Nazareth. I wonder what would happen if a Mayer of New York would do what La Guardia today? Would he be applauded? Would there be negative headlines in the NYT? In our “me” society, I ask you to consider the way YOU treat the poor and the disenfranchised? Let us practice true compassion in our daily walk. The “Cloud of Unknowing” is an anonymous work of Christian mysticism written in the latter half of the 14th century. The text is a spiritual guide on contemplative prayer. The true message of this book is that the way to know God is to stop trying figure Him out and simply surrender yourself to the realm of “unknowing,” and then we begin to see a glimpse of God. The first chapter introduces four degrees that we all share in our journey to God. These are COMMON, SPECIAL, SINGULAR AND PERFECT. I would like to unpack some small truths about these degrees. The common degree is where we begin. In this degree we discover the joy of the creation of God. We see the love that he has surrounded us with in our friends, our activities and the things that make our lives worth living. Freely we acknowledge that we are created by Him from nothing and that He is the one who breathes life into us. When someone asks a “common” person if they believe in God, they answer with an enthusiastic, YES! They not only believe in God but comprehend His majesty. As our spiritual journey continues, a realization of the fall and sin of Adam comes into our lives. With this realization we can begin to see the suffering of the Savior as He redeems us of our sin with His marvelous grace. This degree brings us into a time when we realize that God sent Jesus to negate the sin of Adam and bring grace to all. By continued prayer and growth in faith we become extraordinary in our relationship with God. This relation begins to be natural and inbuilt into every aspect of life. We no longer “have” to pray but our lives become a prayer. This is a most challenging degree to reach. Most committed Christians fall in and out of this place. Perfection is heavenly bliss. Such bliss is not attainable on this earth but must wait until we are joined to God in the heavenly state. John Wesley spent a great deal of his life looking to achieve this state but realized in his old age that it would not come this side of heaven. In spite of that he still reminds Methodists that they are marching on to perfection. This path suggested by the writer of “Cloud of Unknowing” can serve us well as we live out our Christian journeys. perfect love and give you the praise you deserve. The two competing margins of any man are self-justification and humility. We all have a great drive to be the controllers of our own destiny. To achieve that destiny we must find ways to justify our actions. There are many people that are consumed with, meeting the right people, doing the right thing, being seen at the proper places and above all else being in control. As I see it, self-justification is just another way of being a controller. The Monk said that self – justification was a heavy burden to bear. Not only was it heavy, but it is a burden that we choose to bear. Man has a tendency to load himself down with burdens that originate with our own ego. Our ego tells us that control is the primary objective of life. Perhaps the greatest expression of control that is observed in our spiritual journey is the art of self – justification. 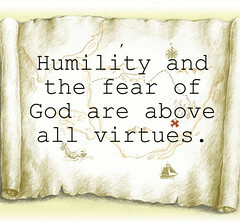 The Monk observes that humility and fear of God are the greatest virtues that anyone can possess. Those virtues, in conjunction with the ability to “sit” and wait on God will bring us to better place than we could have ever hoped for or imagined. The Monk desire that the community to be “hanging from his little finger,” this came about as the natural result of living a life that seeks God above all else. The Benedictine rule instructs us how to greet our guests. “At the door of the monastery, place a sensible old man who knows how to take a message and deliver a reply, and whose age keeps him from roaming about. This porter will need a room near the entrance so that visitors will always find him there to answer them. As soon as anyone knocks, or a poor man calls out, he replies, ‘Thanks be to God’ or ‘Your blessing, please’.” Such humility can go a long way in reaching people with the good news of Christ. Self-justification takes us nowhere other than the path of control and evil self-righteousness. Perhaps that needy knock on the door is God calling us. Let us seek Him. 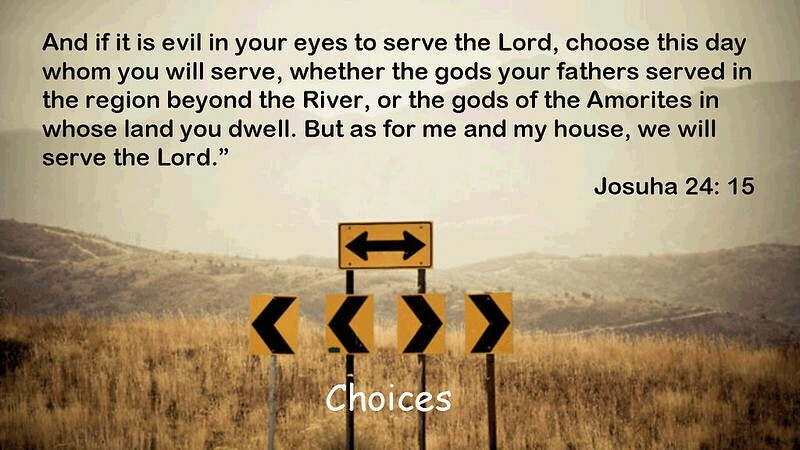 May we choose our path. How do you seek it? Lord fill me with the humility that is necessary to seek Your face. Allow me to discover virtue in those You send my way. Give me the patience to wait on You in the place You have given me. For in humility, virtue and waiting You reveal your glory to me and make it possible for me to live in peace and harmony. Breaking new ground is a very difficult task for us. The old, the familiar, the comfortable are always preferable to the new and different. I believe this is even true if God tells us to change. The Israelites were on a great journey. They had escaped from the clutches of the harsh Pharaoh, they had experienced hardship, rebellion and suffering on their journey, but the journey had destination and purpose. Moses sent out spies to survey the land and they brought back a good report. 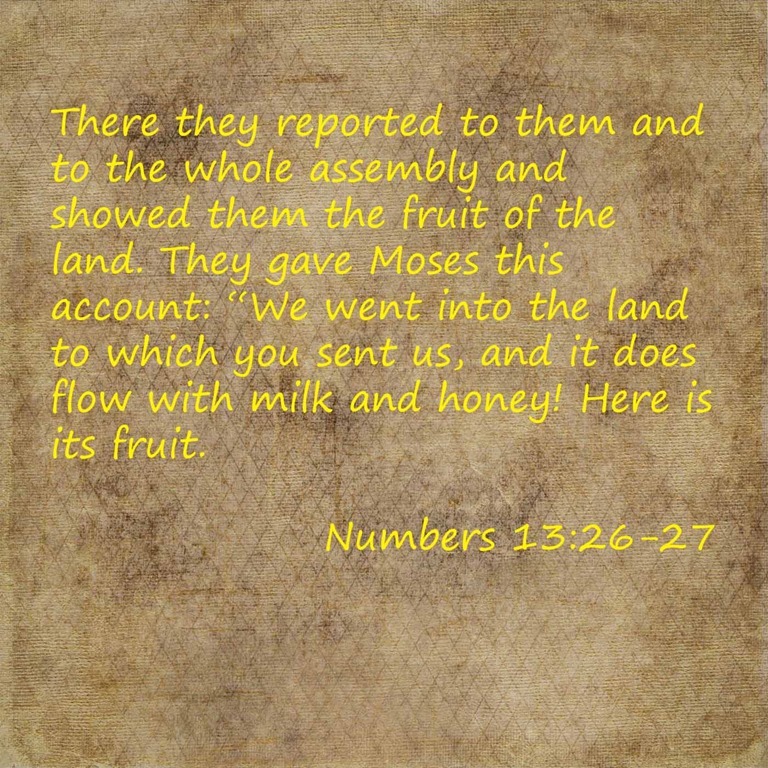 Many years would pass before they occupied the land but they always knew that it was a good land, a land that God had promised them and one day they would enjoy its fruit. They needed to keep the vision alive. We too, must keep our vision alive. So many of our days are beset with pain and trouble, but God says, the best is yet to come. Let us try – this day – to see the abundance of God and live with the expectation of being blessed by Him. I am convinced that the spirituality of Alcoholics Anonymous is going to go down as the significant and authentic American contribution to the history of spirituality. With inspiration from the Holy Spirit, Bill Wilson and all the other founders rediscovered the core teachings of Jesus and formed them into a program that could really change lives. It is a spirituality of imperfection, in contrast to Western Christianity’s emphasis on perfection, performance, and willpower. We give it away to keep it. This counterintuitive wisdom will forever be avoided, until it is forced upon us by some reality over which we are powerless—and if we are honest, we are all powerless in the presence of full Reality. Both the Gospel and the Twelve Step Program insist that the experience of powerlessness is the absolutely necessary starting point for transformational healing. This is perennial wisdom. Jesus called it the way of the cross, and he told us to follow him on the downward journey into powerlessness. It is there where we will find what is real, what lasts, and what matters. Through the crucifixion, Jesus showed us that powerlessness is the way through. It is not the end, but truly the beginning.